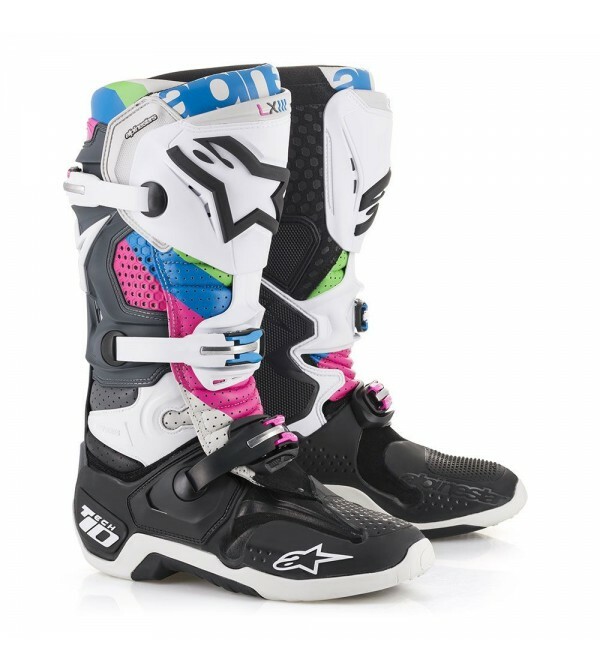 Standing at the top of the podium, the Alpinestars Tech 10 Boots are purpose built for the MX pro. Featuring a lightweight upper that combines full-grain leather with lightweight microfiber and impact and abrasion resistant TPU shell, the Tech 10 is built like a Mac truck but is light and nimble as a Mazda Miata. Innovative, evolutionary TPU shin-plate construction for greater range of fitment features a reinforced VELCRO® brand closure for a comfortable, highly customized fit. The shin zone incorporates a TPU blade system engineered to prevent frontal hyperextension and provide greater flex control.